The largest volunteer group at our state leadership seminar is our Junior Staff. Comprised mostly of alumni of a HOBY program, the Junior Staff (volunteers under the age of 21), serve a variety of roles throughout the seminar weekend. The application process will open in the Fall. Team Alumni (TA) – Lead and facilitate cheers and other activities to maintain the positive mental attitude (PMA) of all of our Ambassadors and volunteers! TAs work behind the scenes to make the leadership seminar happen smoothly. 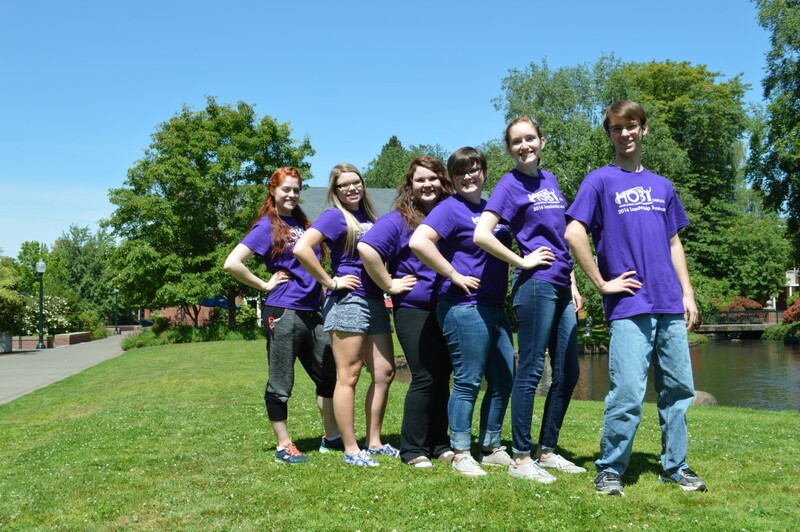 Team Media (TM) – Document and share the HOBY leadership seminar experience to internal participants and external stakeholders through social media, newsletters, photographs, videos and more! TMs are often seen with a camera in one hand and a smart phone in the other! Junior Facilitators (JiF) – Work collaboratively with an adult Facilitator to guide a group of 7-10 Ambassadors through the HOBY experience. JiFs co-facilitate conversations following activities and maintain open and positive atmospheres in the small groups – ultimately helping the youth participants to develop leadership confidence and growth during the weekend. Responsible for abiding by and encouraging the HOBY Code of Conduct throughout the seminar. To Apply: Please fill out the Junior Staff Application, in addition to the HOBY National Volunteer Application found here. 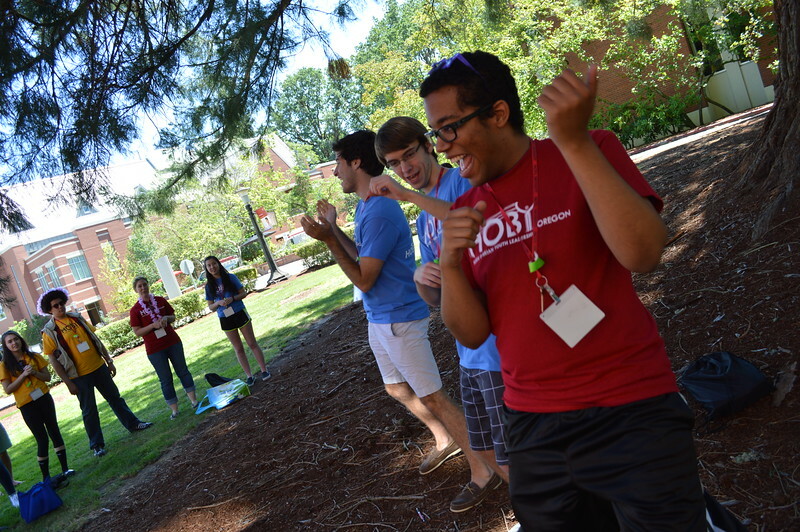 HOBY has been a part of my life since my sophomore year in high school. At first, I was unsure about what HOBY would have to offer me but I then found out that HOBY is one of the greatest organizations to exist. HOBY opens my eyes to the many types of leaders that we have in this world and I am so grateful that I get to help mentor the next generation of leaders. HOBY changed my life as a sophomore and it is amazing that I get to come back each year and change the life of sophomores from all over the state. HOBY will always be a major part of my life and I will always come back to volunteer and give back for many more years. To be honest, I’m not sure whether I chose JiF-hood or if it chose me. 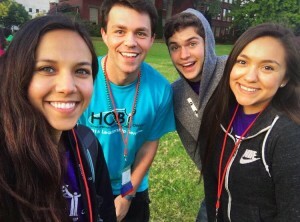 Having had such inspiring experiences at HOBY WAOR and then the World Leadership Congress in 2011, I knew I wanted to help craft similarly-impactful experiences for the Ambassadors to come, so volunteering with HOBY Oregon was a given. Although I enjoyed my year as a Team Alumn, I felt like I hit my stride as a Junior Facilitator. For me, nothing is more rewarding than watching a group of Ambassadors come together as complete strangers, become a tightly-knit crew in one weekend, and then leave — a bit teary-eyed — with entirely new perspectives on leadership and renewed inspiration to make positive change both externally in their communities and internally in how each Ambassador goes on to live his or her life. Like any of the HOBY volunteer positions, being a Junior Facilitator is a tremendous amount of work, but it’s exactly the kind of work I love to do.